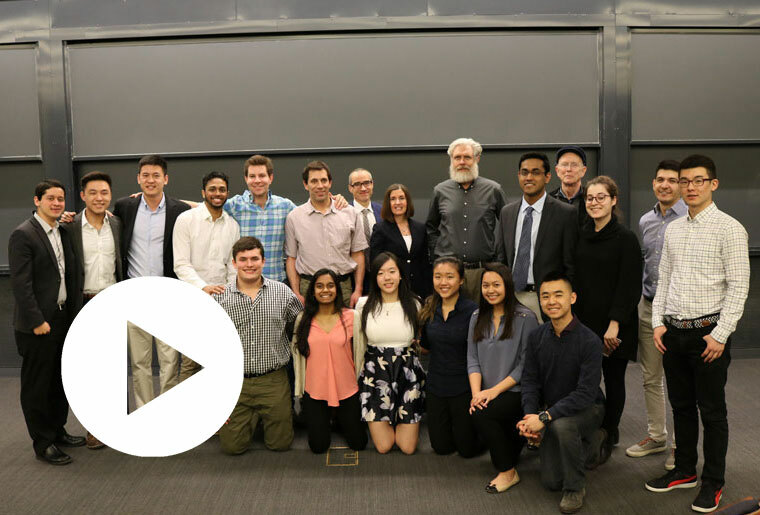 Harvard College Engineering Society (HCES) event student hosts and guest speakers. NEW YORK, NEW YORK – June 6, 2017 – GameChange Solar CEO and Founder, Andrew Worden, was a featured guest speaker at the Harvard College Engineering Society (HCES) Innovation Talks 2017. The annual event brings together cutting edge leaders in biotech, chemistry, computer science, energy, genetics and mechanical engineering to share how their work shapes their industry and the future. Andrew Worden, CEO of GameChange Solar, stated that as an alumnus of Harvard, his hope is to inspire students to join the greatest revolution in electricity since the times of Edison and Tesla. Solar energy has now become the lowest cost of electricity generation in 33 countries. More solar was installed in the USA in 2016 than any other form of electricity generation. Worden mentioned that this has only been made possible through the aggressive cost reduction that the industry has achieved, pushing utility scale solar system costs to under $1 per watt. The innovations of GameChange have played a significant role in reducing costs in fixed tilt and sun-tracking support structures through engineering optimization, advanced metallurgy and large scale manufacturing processes. As Worden continued, he mentioned that our goal now needs to be to push utility scale solar system costs to under $.50 per watt by 2021 and storage to $.50 per watt as well. The combination of storage at solar system sites plus larger scale deployment of EVs acting as distributed storage nearer to consumers will enable a much higher level of renewable energy in the grid. Worden concluded by welcoming the next generation of Harvard engineers to join the solar revolution.